The creators and distributors behind SubtitleNEXT, PBT EU and Profuz Digital are pleased to announce their support for the Media for All International Conference in Stockholm with SubtitleNEXT branded as official Silver Sponsor product of the show. Other sponsors taking part at the event from 17 – 19 June, include major industry players such as Netflix, OOONA and Lingsoft. Host partners of this Conference’s 8th year include The Institute for Interpreting and Translation Studies at the Department of Swedish Language and Multilingualism at Stockholm University and The City of Stockholm. The conference will be held at the main campus of Stockholm University aiming to attract academics, researchers, language practitioners, translators, interpreters, broadcasters, government agencies, support groups and the audio-visual translation (AVT) and media accessibility (MA) industry, not only from Europe, but from all over the world. The main theme titled “Complex Understandings” will be extensively covered at the event and aims to expand on the complexities of our world today combined with the increasing intricacies in AVT and MA. Digital environments and the mediascape such as cinema, TV, video games, computers, smart phones and glasses, social media such as You Tube, and so forth will be explored. The debate will also address the concerns of the visually, aurally and cognitively impaired, including the elderly in our society and language learners, and how they need to be justly catered for as audio-visual citizens. 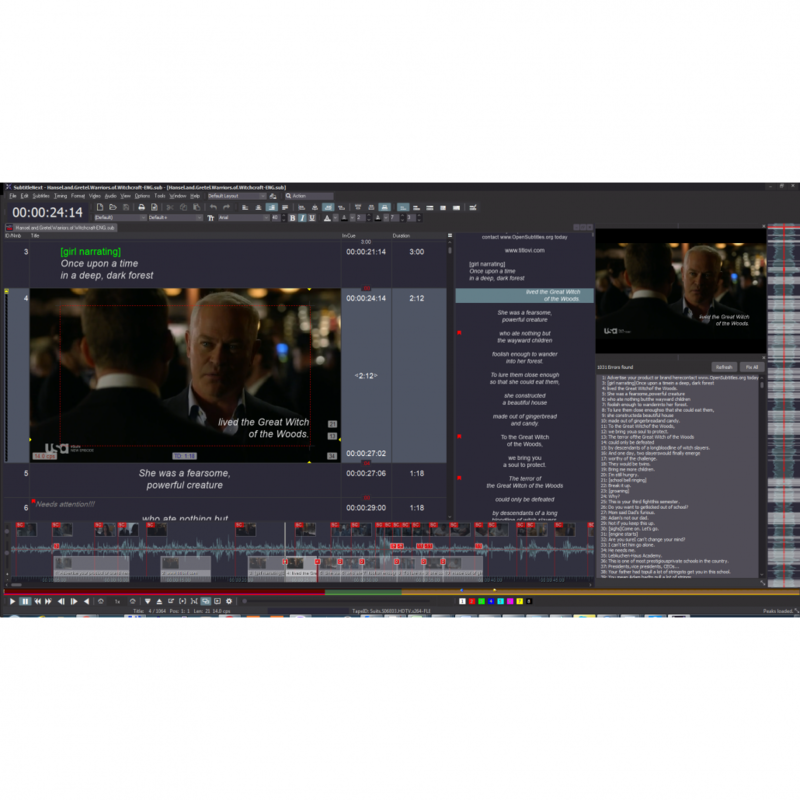 NEXT-TT allows for the efficient generation at blistering speed of timed-text, dubbing and localisation services of every type of content you can imagine. It can be used to manage teams of translators, audio-visual professionals, and creative freelancers, and provides a secure workspace with toolsets that deliver high quality results every time.